Explore what it takes to be successful on an urban farm! This workshop series features proven, essential components for ensuring farm viability. Eric Jackson of Black Yield Institute will speak on Community Engaged Farming: why it is critical to engage deeply with your farm's community and gather input from, show respect to, and support community members. 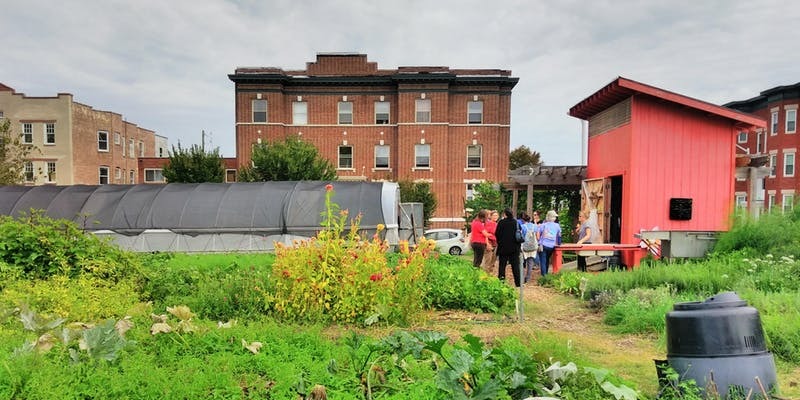 Whitelock Community Farm's Isabel Antreasian and a community member will also discuss the ways Whitelock engages and serves their Reservoir Hill community.